You’ve probably heard that even the smallest of fender benders can result in injury. Not only may they cause you pain down the road, but left untreated, the injury can develop into arthritis, degeneration and other forms of damage. The longer your spine stays out of alignment, the longer it’ll take you to recover. At Coquitlam Family Chiropractic, we’re trained to take good care of you after you’ve been in a car accident. ICBC pays our office directly so you don’t have to pay out of your pocket. All you need to do is provide us with the claim number and after that, once approved, all chiropractic fees are covered under the ICBC Flat Fee program. It’s that easy! If you have a lawyer, we offer Direction to Pay services with law offices so our clients will not need to have any out of pocket expenses for Chiropractic care. If needed, we can refer you to other practitioners for treatment such as acupuncture, massage or physio to complement your Chiropractic care. Often, people who didn’t seek attention right away come in years later with internal damage to muscles, ligaments and discs. Dr. Ali performs an examination, including taking digital x-rays (if necessary), to determine the extent of damage to the body and spine. Then, musculoskeletal misalignments can be corrected with gentle adjustments. A car collision can result in several different types of issues. There are many that can be successfully addressed. The sharp movement of a collision causes the head to move back and forth, spraining ligaments, muscles and tendons. Research shows that 43% of whiplash patients suffer from long-term symptoms, while 93% experienced improvement with chiropractic treatment. The soft tissues in your neck contain nerves, ligaments and muscles. 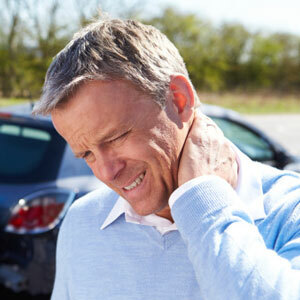 These, along with the joints and discs of the upper spine, can be affected by an auto accident, and in many cases, with pain that spreads to the shoulders, shoulder blades and into the head. Soft tissue and joint injuries in the neck area of the spine can cause headaches. Treating the areas of the head that support the neck, along with the neck itself, can alleviate the pain. The cause of dizziness may be neck muscle spasms or conflict in messages the eyes and neck send to the brain versus the information that is transmitted by the inner ear. Though dizziness may be temporary, it can be helped with chiropractic care. When your body is twisted, compressed or stretched by the forces of a collision, back pain is a common result. The seat belt, which holds your lower back in place, and the upper back and neck that are whipped back and forth, are often the cause. Temporomandibular joint (TMJ) joint dysfunction occurs from whiplash when the joints of the jaw are sprained. You may experience pain when chewing or a cracking and popping in your joints, along with headaches. Start your recovery by contacting us to book an appointment today! We have early and late opening hours for your convenience.